Single D1 Cassette containing tape and ink. Split backing for easy-peel. Thermal transfer. Quick and easy-to-use. Tapes suitable for DYMO LabelPoint and LabelManager label printers and LabelWriter Duo printers. 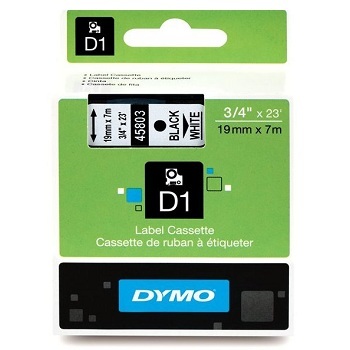 Black print on a Clear background plastic tape for use with DYMO label printers. 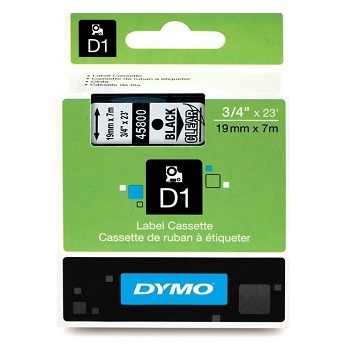 DYMO D1 label tape cassette 19 mm x 7 metres. Black print on a White background plastic tape for use with DYMO label printers. Blue print on a White background plastic tape for use with DYMO label printers. Red print on a White background plastic tape for use with DYMO label printers. 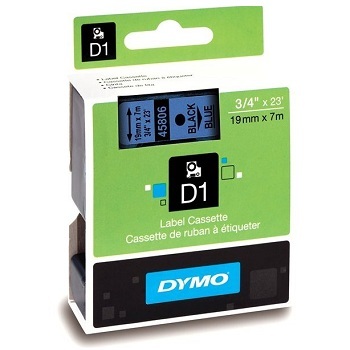 Black print on a Blue background plastic tape for use with DYMO label printers. Black print on a Red background plastic tape for use with DYMO label printers. Black print on a Yellow background plastic tape for use with DYMO label printers. Black print on a Green background plastic tape for use with DYMO label printers. White print on a Black background plastic tape for use with DYMO label printers. 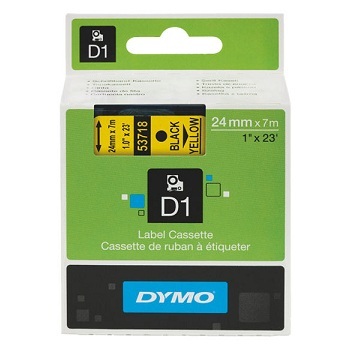 DYMO D1 label tape cassette 24 mm x 7 metres.